The article presents formation of water body integral quality criterion in geoelectric monitoring method. To fulfill this task it is necessary to consider the operational principles of water body quality geoelectric monitoring method, to consider the performance standards according to the requirements of the state standards and to develop an algorithm for water body quality control facilities in geoelectric monitoring. The resulting water body quality integral criterion includes the following indicators: transfer function deviation of the water body geoelectric section under study from the initial default value, water solution conductivity in the body, the pollutant salts content in the solution, the total solution salinity level in the body under study, the solution hardness in the test body. The resulting algorithm can be applied to environmental monitoring systems employing conductometric or geoelectric controlling techniques of water bodies. Keywords: environmental monitoring, geoelectric control, surface and underground water, conductivity. SanPin 2.1.5.980-00. Hygienic requirements for the protection of surface waters sanitary rules and norms. Orekhov A.A., Dorofeev N.V. The organizational structure of geo-environmental monitoring geodynamic objects // Technology of technosphere security, 2012, № 4 (44). – P. 4-8. Orekhov A.A., Dorofeev N.V. The system for ecological monitoring water objects based on the method of geoelectrical controls // Engineering industry and life safety, 2012, № 2. – P. 36-38. PC SOP RT 002-1-003-94 Rapid methods of quality control of natural and waste water and distilled water according to their conductivity. Guidelines. – Kazan, 1995. 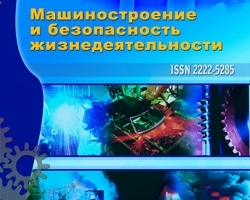 Dorofeev N.V., Formation of water bodies quality criterion in geoelectric monitoring method, №4 (18) 2013, Orekhov A.A.